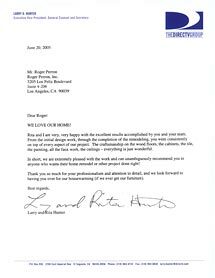 Hunter » Roger Perron Inc.
Rita and I are very, very happy with the excellent results accomplished by you and your team. From the initial design work, through the completion of the remodeling, you were consistently on top of every aspect of our project. The craftsmanship on the wood floors, the cabinets, the tile, the painting, all the faux work, the ceilings — everything is just wonderful! In short, we are extremely pleased with the work and can unambiguously recommend you to anyone who wants their home remodel or other project done right! Thank you so much for your professionalism and attention to detail, and we look forward to having you over for our housewarming (if we ever get our furniture).